Earlier this year, Mozilla announced that it was building a mixed reality web browser, and today, that browser is here. Firefox Reality was designed from the ground up to work on various stand-alone virtual and augmented reality headsets. It is ready today in the Viveport, Oculus, and Daydream app stores. According to Mozilla, Firefox Reality was built to be able to move seamlessly between the 2D web and immersive web. 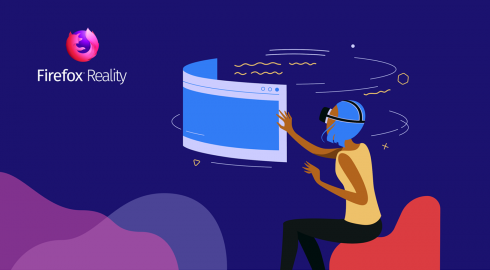 Firefox Reality is built on top of Mozilla’s quantum engine for mobile browsers, resulting in the smooth and fast performance crucial for VR browsers, the company explained. One of the key new features is being able to navigate the web using voice. According to Mozilla, text input is difficult in virtual reality and it hopes that this is a good first step in solving that challenge. The home screen also contains a feed of new experiences and content in order to make it easier for the user to explore and find new things. Mozilla explained that this release is just the beginning. They are already planning out version 1.1 and have a growing list of ideas and features that they want to add.